A young man sexually harassed by her boss made an anonymous call to the popular WOMAN radio programme hosted by Zoe Chinaka on Nigeria Info FM 99.3. She wanted to know what to do and was afraid of losing her job if she did not give in to his demands. 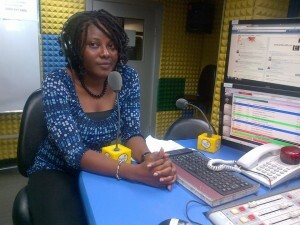 This often unspoken problem which many young women face in their places of work, prompted the special radio discussion on the 19th of June, 2014, featuring Spaces for Change’s OluwaFunmilayo Fakeye. Usually when addressing cases of sexual harassment, the first thing to establish is whether a person has indeed, been sexually harassed. This brings on the question how does sexual harassment occur? Sexual harassment occurs when there is no mutual consent to sexual advances, attention or relationship between two adults. It is not only perpetuated by men as women too have been known to sexually harass men although studies have shown a very high percentage of women to be sexually harassed. Oluwafunmilayo Fakeye proffered ways of tackling this growing menace, affecting large numbers of young people, especially women in Nigeria. Although sexual harassment happens in pockets of places outside the work place, statistics show a high rate of occurrence in the work place. One way organizations can tackle sexual harassment in the work place is by establishing strong internal complaint mechanisms. Big organizations have such procedures and the Human Relations department usually handles such complaints. This system allows for proper investigation and handling of complaints and if well handled, usually doesn’t result in litigation and corporate dent. However if the complaint isn’t well managed, the complainant may seek legal redress and claim damages. When seeking legal redress, complainants usually are required to present sufficient evidence that they have been harassed. With the help of technology, it becomes very easy to snap pictures of the harasser, record voice discussions between the complainant n the harasser and so on. In response to the question whether women should be blamed for being sexually harassed, Funmi’s response was a loud NO! Even though women have a moral obligation to dress modestly and decently, they should not be blamed for being sexually harassed. The male folks should be blamed for the lack of self control and discipline that leads them to harass their female counterparts. The call in segment of the programme was very busy as many callers wanted to join the conversation. Many of them expressed their disgust for commentaries suggesting that nothing could be done to control sexual harassment. Others felt the existing complaint mechanism in organizations will more likely than not, put the complainant in trouble because of the corruption inherent in most corporate internal mechanisms. Many more blamed victims of sexual harassment for not speaking out due to fear for the loss of jobs and stigma even when there is the availability of evidence. On this note S4C encouraged victims not to condone unwanted sexual advances or attention. Speaking out is not an option but a necessity because that is the only way to ensure harassers are not given another opportunity to sexually harass unsuspecting victims. The message is clear – silence usually emboldens the harasser to do more! Speak up, now!